So why would African nations allow China – or any other nation for that fact – to open police stations within their borders? Did Africa learn nothing from colonialism? China may not be chopping off hands or underdeveloping Africa, but we know that in addition to trade, aid, and debt-trap diplomacy to exploit the continent. The record of the 5,000 years that ended with the European conquest of the whole continent in the nineteenth century shows that every African state remained relatively secure and independent as long as it maintained a strict policy of excluding foreigners from settlement within its borders . That same record makes clear that wherever this policy was abandoned and whites were admitted under any pretext whatsoever, the eventual doom of that state was certain. 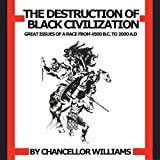 The coming of the Caucasian, whether from Asia or Europe, or whether in the name of peace, trade, [or] an “integrated society”…no matter under what pretext they came it meant the destruction of highly advanced Black civilizations. Colonizers enter a nation as diplomats and traders. They establish diplomatic ties with target nations on the basis of trade. This is the phase that Africa – China relations have just entered. With the economy now under their control and a strong military presence in the borders of their target country, Colonists turn the target nation into a suzerain – a nation that is allowed to manage its own people, but with its policies under control of an external sovereign nation. The opening of the 13th Chinese Community and Police Co-Operation Center in South Africa last week has sparked concerns about China’s growing influence in various institutions across the continent of Africa. Many top South African dignataries gathered in Port Elizabeth to celebrate the opening of the new center, which was established to improve relation and communication between South African police and the local Chinese community. The 3rd Term opening of the Chinese Language Training Program, which teaches law enforcement officers to speak Mandarin, was also celebrated. However, Twitter celebrity, Julius Malema authored a post suggesting the Chinese were taking over by opening their own police stations. “Now Chinese are opening their own police stations in South Africa. They have already opened 13 & this one was opened yesterday in PE” Malema tweeted. See more rections below…. @EFFSouthAfrica and @julius__smalema Is it true that China opened 13th police station here in south Africa????? Does South Africa have a police in any City in China?